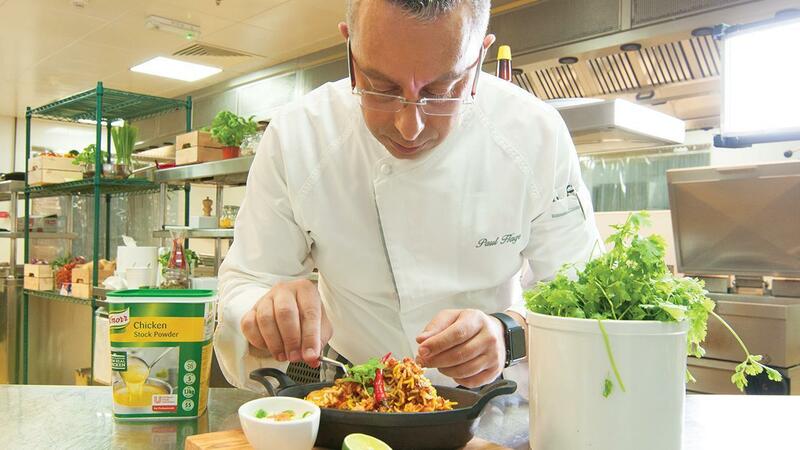 We have asked Chef Paul Hage - Group Culinary Director - Habtoor Hotels to share his best Chicken Biryani with us all. Enjoy making this recipe! Portion each whole chicken into 8 or 10 pieces. Marinade using Rafhan Corn Oil, Knorr Chicken Stock Powder, garlic, ginger, yoghurt and all the spices. Allow to absorb flavours for 30min. Wash the rice and allow to drain for 30 min. In a pot or pan sear the chicken before adding the rice & water to cover. Mix and wait to boiling stage. Reduce heat, cover and allow to cook through for 20-30 minutes. Garnish with fresh coriander and mint.